Diners in Hull’s Fruit Market will soon be able to enjoy a deliciously authentic taste of Italy with some of the city’s best views. 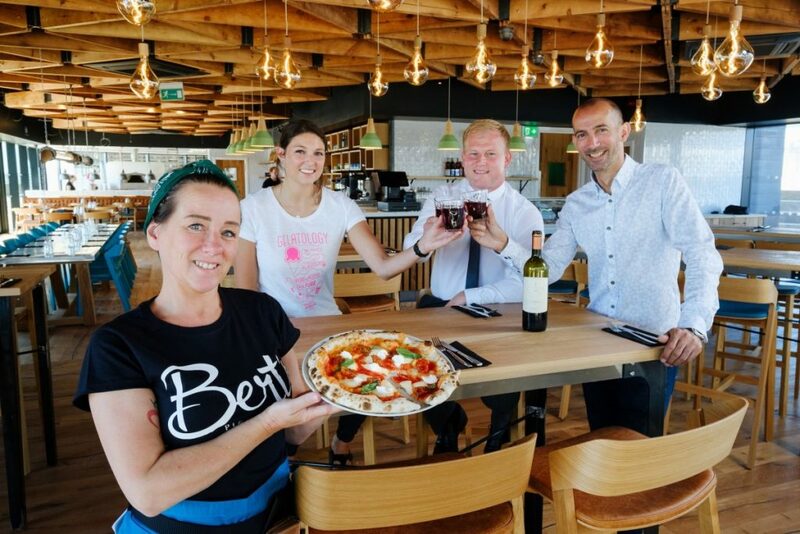 Bert’s Pizza and Gelato will open on Wednesday, July 4, and is the second Italian restaurant to be opened by the family owners of successful East Yorkshire venue, Bert’s Pizzeria. “There’s a large community of professionals working at C4DI and other nearby offices, upcoming residential developments in the area and excellent footfall from visitors to The Deep and other nearby family attractions, as well as a thriving night-time economy. “We have invested heavily in making sure the fit-out at the Hull restaurant is good quality. Equally, it’s very important to us to take fine ingredients and create good, affordable food and a great dining experience. Visitors to Bert’s Pizza and Gelato can expect top-quality ingredients, a simple menu and great value for money. Prices for a 10in rustic artisan pizza range from just £5.95 to £8.95 and prices for handmade gelato start at £2.10, with free gelato tasters available for anyone who can’t decide which flavours to choose. Chef Jed Stone with a selection of handmade Gelato on offer. Andy Chase, General Manager of both Bert’s restaurants, said: “The Brandesburton restaurant was set up four years ago and quickly became a destination restaurant with a great atmosphere. We use local produce, including wagyu beef from the family farm’s own herd. 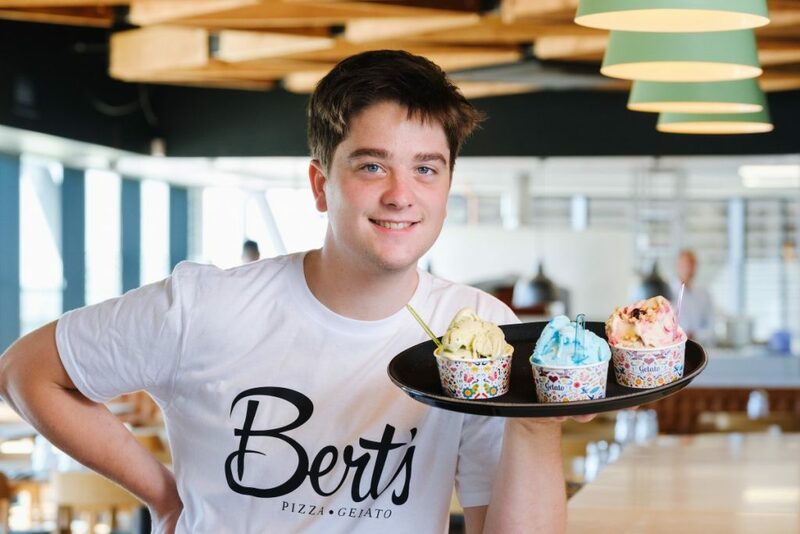 “At Bert’s Pizza and Gelato in Hull, we’re still using our local suppliers – for example East Yorkshire dairy St Quintin’s Creamery supplies the milk and cream for our gelato – but we’ve also had research trips to Italy, where we’ve sourced the finest ingredients for our pizza. 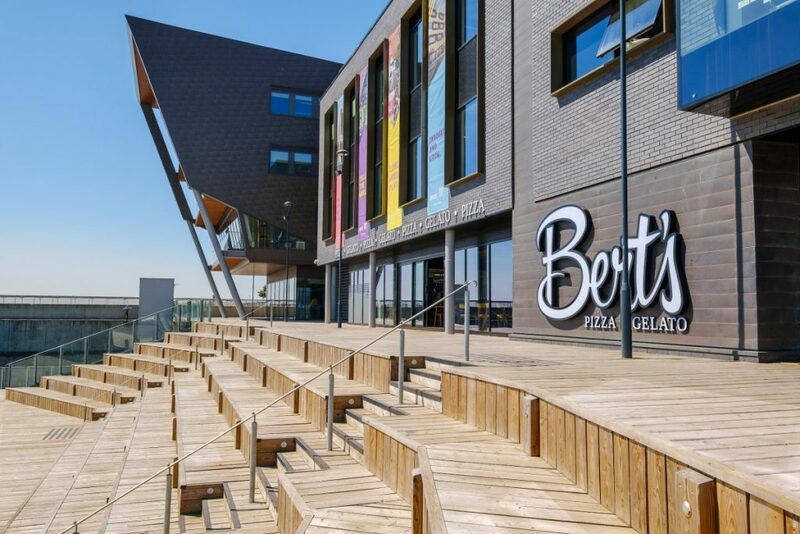 The development complements the ongoing wave of investment in the Fruit Market, where Wykeland is part of the Wykeland Beal joint venture with housebuilder Beal Homes delivering the £80m regeneration of the waterside district, working in partnership with Hull City Council. 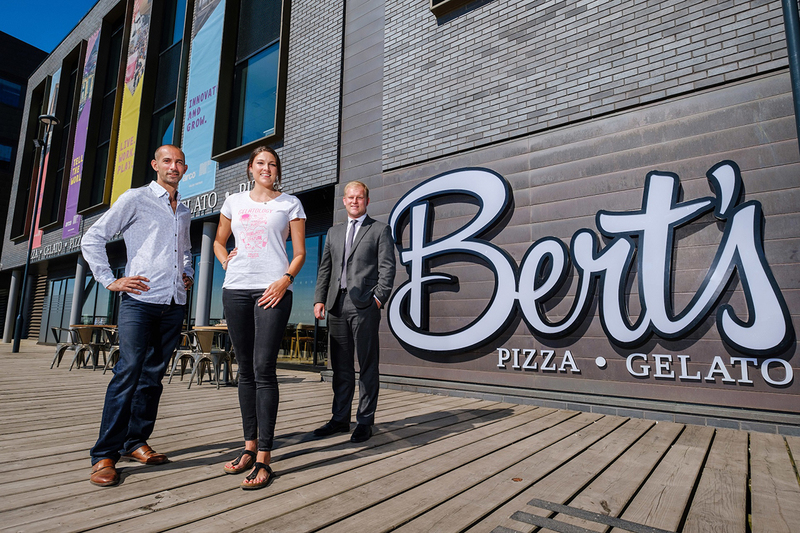 Bert’s Pizza and Gelato will be open seven days a week from 10am until late. Coffee, gelato and cake will be served from 10am, and the full menu from noon. For all enquiries, call 01482 326113. Vegetarian, vegan and gluten-free options are available. For a limited time ,the restaurant is giving away a free scoop of gelato with every pizza as an opening deal.